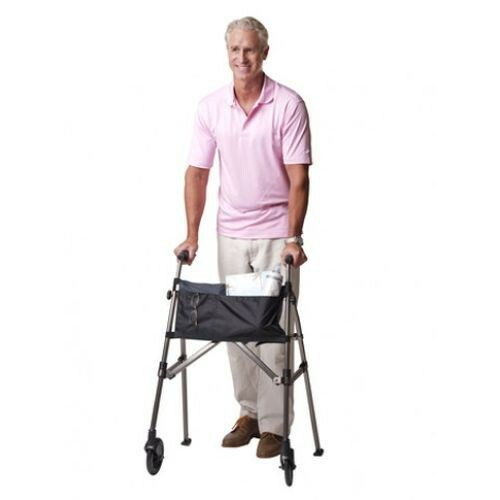 EZ Fold-N-Go Walker is a front wheel walker that is sleek, stylish and the ideal accessory for everyday use. This folding walker collapses easily for hassle-free portability, and features six-inch swivel wheels for smooth traction. 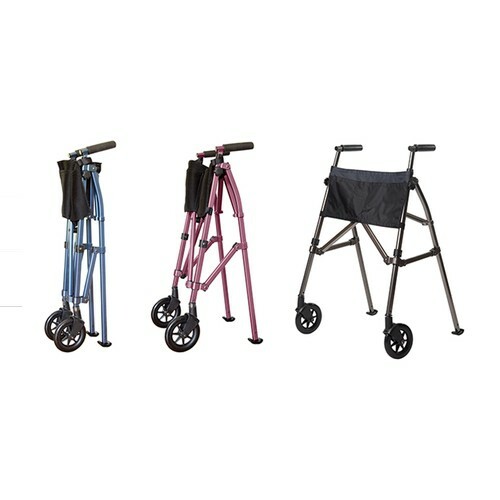 Equipped with a two pocket organizer pouch, this front wheel walker has Easy-Glide feet to allow for trouble-free maneuvering over all surfaces. 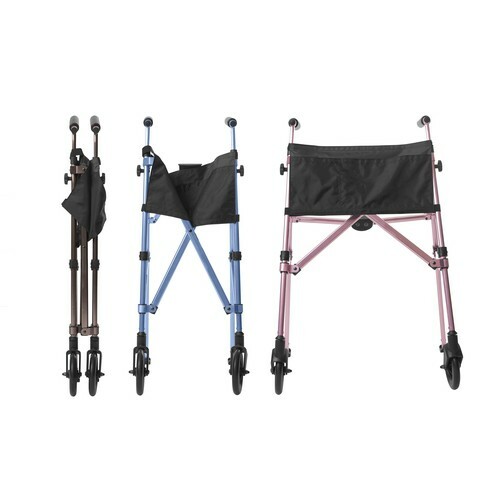 EZ Fold-N-Go Walker is available for order in three stylish colors: Regal Rose, Black Walnut and Cobalt Blue. Height-adjustable and capable of supporting up to 400 lbs., this folding walker is an easy-to-use, effortless accessory for persons of all shapes and ages. You may also be interested in similar walking aid products, such as Invacare Economy Rollator. Portable and swiftly folds up for storage in small spaces. Six-inch swivel wheels and rear Easy-Glide feet allow for trouble-free maneuvering over all surfaces. Can be ordered in three stylish, contemporary colors: Regal Rose, Black Walnut and Cobalt Blue. 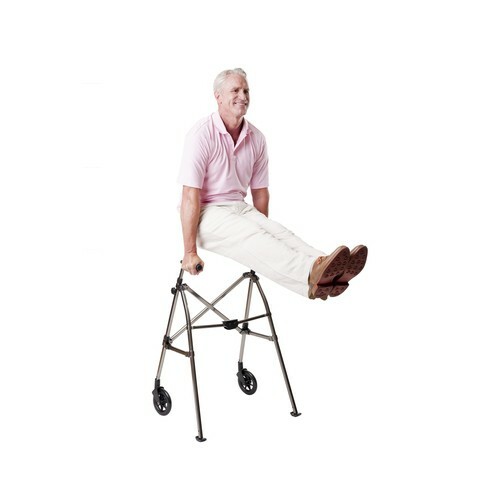 Height Adjustment: For users 4' 10" to 6' 8"
The person that factory tightened the wheels to the frame has over tightened the left wheel making the walker less than satisfactory. The wheel pulls to the left even after using some machine oil on the nut. We can visually see that it is too tight wheel to frame. We tried to loosen it with a wrench and it did not budge. If we try harder, we may damage the thing. I am not very pleased that I need to constantly fight the wheel direction. I can only hope that if we keep oiling it all the time it will work better. I wish I had bought a different brand.